2) Seemingly in an effort to capitalize on the Pokémon Go craze, Gurkha is organizing a cigar scavenger hunt in Miami on Saturday, September 10. Pre-registration is required but free. The event will start at Village Humidor and take participants to several cigar locales throughout the city, culminating in an award ceremony where the winner will receive one of box of cigars each month for one year. 3) Inside the Industry: While many cigar companies significantly increased their announcement of new cigars at this year’s IPCPR Trade Show in light of the FDA, General Cigar’s debuts, while numerous, were in line with the number of new releases the outfit had featured at previous shows. Among the highlights were CAO Consigliere, a return of the original CAO Sopranos blend at a slightly lower price point now that the licensing agreement with The Sopranos has ended. Another interesting debut was the Hoyo La Amistad, produced in partnership with A.J. Fernandez, who makes the cigar in Nicaragua with an Ecuadorian Habano wrapper and binder from his Nicaraguan farms. Also new from General Cigar are two La Gloria Maduro offerings: La Gloria Cubana Serie R Estelí Maduro, which features a Broadleaf wrapper, and La Gloria Cubana Serie R Black Maduro, which is an internet and catalog exclusive. 4) From the Archives: It’s hard to believe, but it has been over eight years since the launch of Cigar Rights of America. 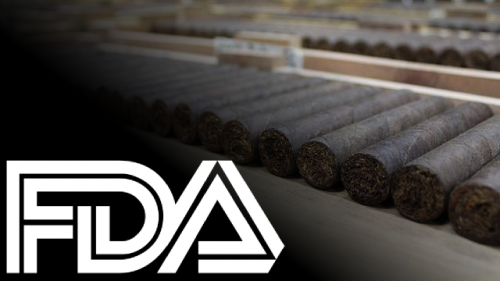 At the time, the organization’s stated goals were to “fight unjustified tax increases and halt smoking bans.” As became necessary, however, on the federal level much of CRA’s attention quickly turned to the FDA regulations that were authorized by Congress only weeks after the organization’s establishment. 5) Deal of the Week: Every cigar smoker has good reason to join Cigar Rights of America, or renew/extend their current membership. If you want to smoke excellent, exclusive cigars while you do so, consider purchasing this Cigar Rights of America Limited Edition Sampler. Each sampler includes a CRA membership (you can also use it to renew your existing membership) with ten exclusive, high-end cigars. As a bonus, use the code “Stogie10” to save $10 (knocking the price down to $90). I got CRA membership about 3 years ago with a purchase from Holts. I live in Canada and when I attempted to renew after 6 months I found it was impossible. The site will only accept U.S addresses. To make matters worse they keep sending me renewal notices. I wanted to help because I believe that the backward law will eventually affect us in The Great White North. John – I got in touch with CRA about your problem. CRA Operations Manager Harrison Clark tells me they have members in Canada as well as several other countries. If you can’t sign up online with your membership number, Harrison said to get in touch with him at harrison.clark@cigarrights.org and he’ll help you out.